As I mentioned in my previous post, a successful thought leadership campaign must be rooted in authority. Often this authority can best be established through data that can validate your point of view. However, with the explosion of data, many companies are too daunted to try. In 2011 alone, we created enough data globally for one person to watch 200 billion, two-hour HD movies for 47 million years straight, according to the TechAmerica Big Data Report. It does not have to be that difficult though. Start by looking to two sources: a company's proprietary data or third-party research. Begin by defining your premise. It must illuminate a unique insight into the company's target market. Not every piece of data is going to catapult a company to The New York Times or Good Morning America. Finding the right data point to lead with requires knowledge about the target market combined with a nose for news. For example, did you know that long-term unemployment is worse than a criminal record (a misdemeanor offense) when it comes to finding a new job? In this example, Bullhorn (an InkHouse client) in the recruiting software space, conducted a survey of its customers to root its perspective on the employment market in authority. The Daily Beast's headline was, “Here's Why We Can't Get Jobs.” Forbes wrote, “New Study: Long-Term Unemployment Viewed By Hiring Companies As Worse Than A Criminal Record,” and the Huffington Post and CNNMoney used similar headlines. This campaign worked because it provided a surprising new insight into a regularly covered issue. Credible and valid data. Your data should come from a respected third party or your company's proprietary data. If it is the latter, be sure to explain the nature of the data – the type of organization, title level of respondent, and then quantify it with hard numbers. Unique insight. Do your research first. If a respected entity already issues numbers on the topic you are considering, your data may fall flat. Wide-ranging implications. If your goal is to reach for the stars to secure major business and consumer media coverage, your data must have broad implications that are easy to understand and fit into current trends. USA Today reporters may not care about how many recruiters are using social media. They probably will care about the factors that are keeping people from getting back to work in a tough economy though. It's all about the lens you apply to your data. Benchmark trends. If you can't repeat the data, it might not be worth doing. You need to be able to show change over time. If a monthly index or benchmark is too frequent to show change, consider a quarterly report instead. Unlike almost every other tool at our disposal, a single data point directed at the right audience is the fastest conduit between interest, engagement, and content sharing. 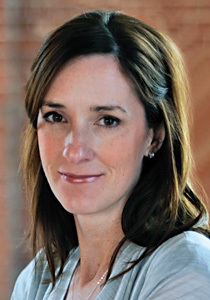 Beth Monaghan is principal and co-founder of InkHouse Media + Marketing, one of the fastest growing independent PR and social media agencies in the US with headquarters in Waltham, MA. You can email her at beth@inkhouse.com, and find her on Twitter @bamonaghan.